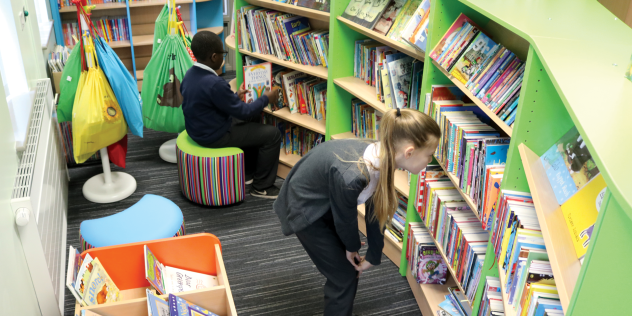 Yew Tree Primary School in Walsall first approached us for a library design back in spring 2016. The resulting design included everything the school had wanted. 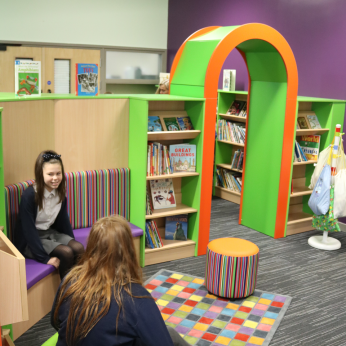 Their new library is not just a book storage area, but a bright and welcoming room where the children can linger with a book or gather around a teacher for story telling. 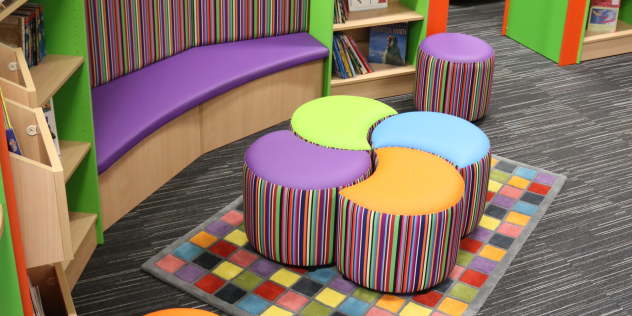 The vibrant colours, different seating options, archway and den all make this a child-friendly facility that the school can be proud of, and one which has put reading for pleasure at the top of the agenda. A built-in seat provides a welcoming spot for browsing and reading as well as being the ideal location for informal group work. 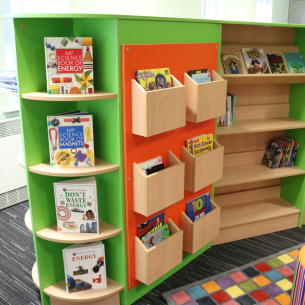 Children are always attracted to the pictures on book covers so all shelves in these units can be used flat for standard spine-on book storage or flipped over for child-friendly face-out display. 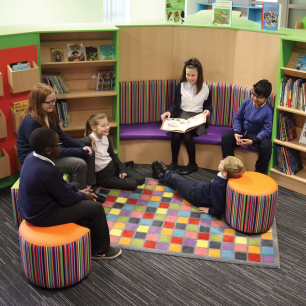 A range of versatile seating options means the library provides a truly flexible area for teaching and learning. Pocket storage is perfect for magazines, graphic novels or picture books. 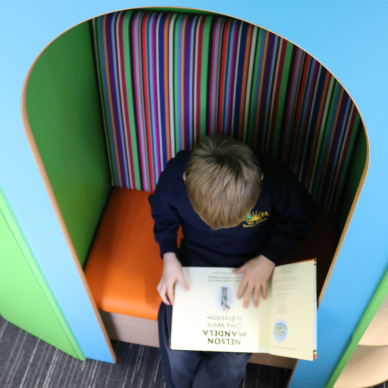 A cosy Reading Den provides a secluded place for young readers to get lost in their favourite book. Feature archways create a more interesting environment for the children, as well as maintaining good sightlines through the space.